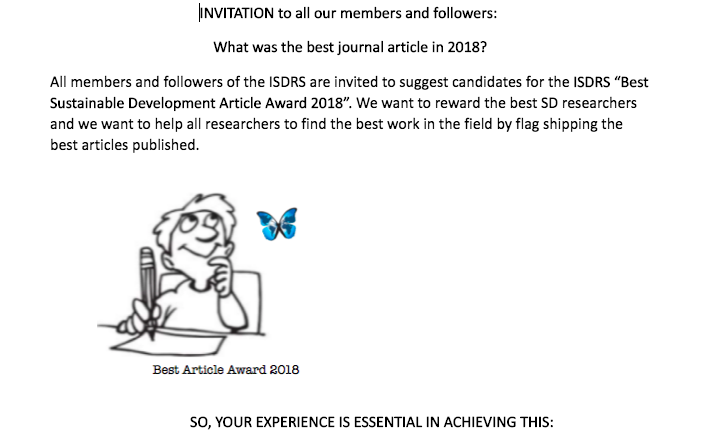 The ISDRS has three categories of membership. Followers: Free: access to social media activities (LinkedIn). Green: Gives you additional benefits (discounts, free journals). Green Plus: Allows for participation in the society (voting rights). 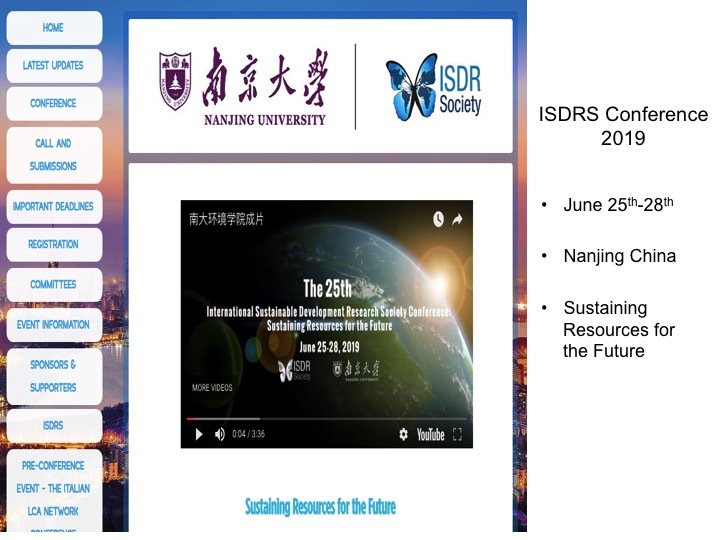 The 25th ISDRS Conference, Sustaining Resources for the Future, will be held in Nanjing, China from 26th of June to the 28th of June 2019. 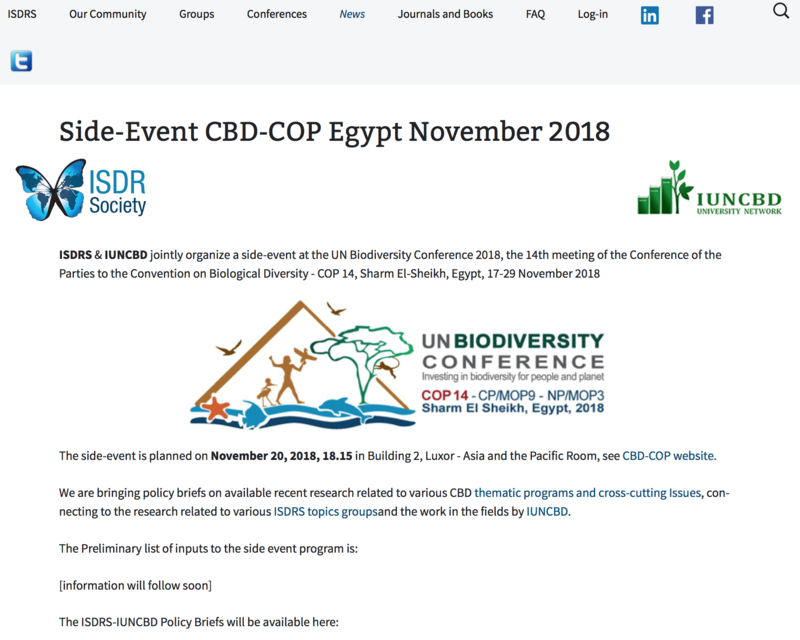 It will be hosted by the School of Environment of the Nanjing University. 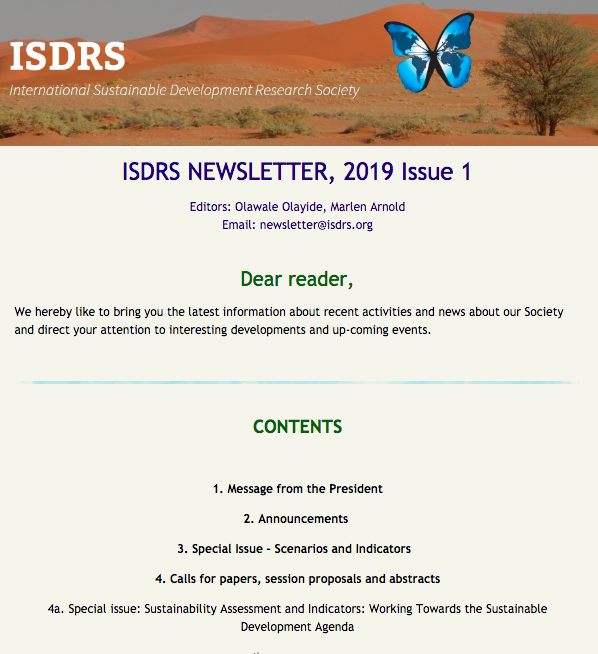 ISDRS tries to maintain several topic groups, closely related to the UN SDG's, with the goal of organizing the annual call for papers preceding each conference. 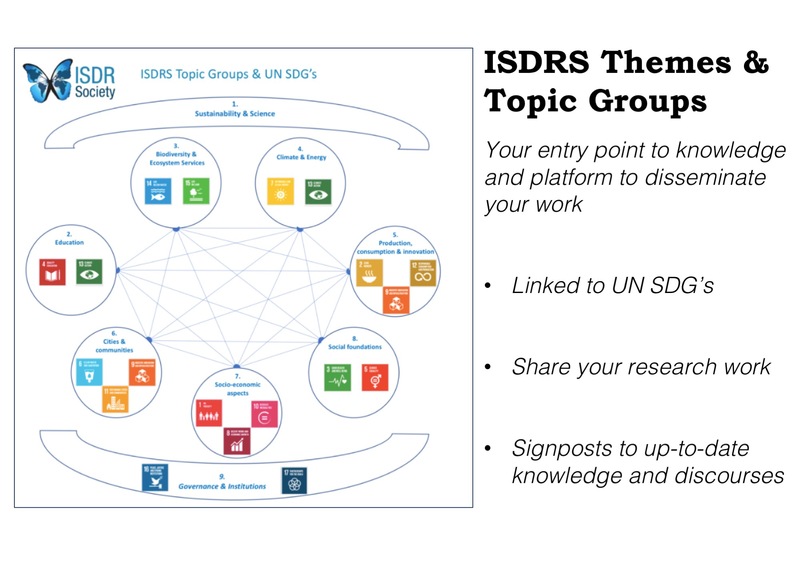 These working groups focus on different areas of sustainable development corresponding to their themes.